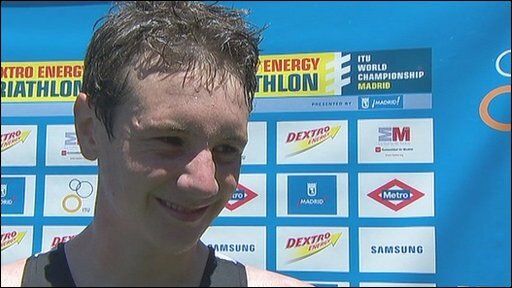 Triathlon world champion Alistair Brownlee stormed to a stunning World Championship Series gold in Madrid in his first race back from a leg injury. The Briton, 22, missed the season's first two races after a stress fracture picked up during off-season training. With brother Jonathan pacemaking, he beat Australian Courtney Atkinson. "That win overshadows anything I did last year, it's the proudest victory that I've ever had because I had to fight so hard for it," Brownlee said. The result marked a sensational return for the rising star from Leeds, who had been forced to sit out the Sydney and Seoul legs of the series. 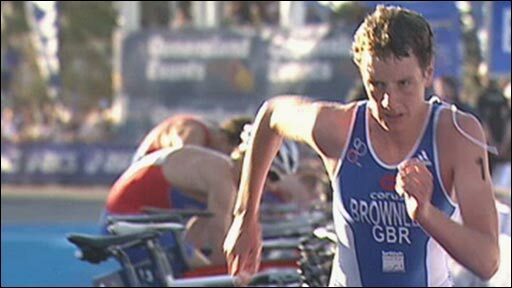 After picking up his third stress fracture in his short career, Brownlee admitted in April that if he did not recover in time for Madrid then the "series was over". Having not raced a triathlon since winning the world title last September, Brownlee came through stifling conditions in the Spanish capital to win in one hour 52 minutes and 41 seconds. 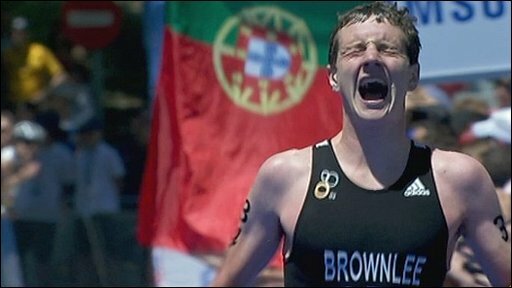 What do you make of Brownlee's stunning comeback win? In-form Australian Atkinson was second 10 seconds behind while Switzerland's Sven Riederer and local favourite Javier Gomez came home in third and fourth. "I definitely wasn't expecting to win," added Brownlee, who was helped in the bike and swim phases by his younger brother Jonathan acting as pacemaker. "I was running for second place and with 500m to go I gave it everything I had. I looked back and couldn't believe the gap that I had opened up. I had to give it everything to win. "I like this course because it finds the all-round athletes who want to work hard on the hill every time. The guys who went for it today got into a break and it worked." Other British competitors in action were Will Clarke and Olly Freeman, finishing 12th and 13th respectively. The results are hugely encouraging for the British team now preparing for the season's biggest races in London's Hyde Park and Budapest.